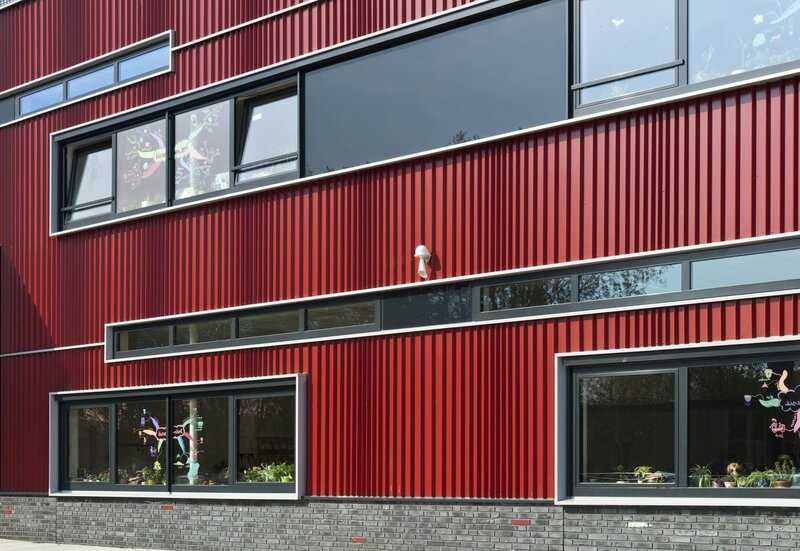 Due to the growing number of pupils and planned housing in the Waterkwartier district, the municipality of Zutphen decided in 2003 to build a multifunctional accommodation (MFA) in the Paulus Potterstraat, on the grounds of the former Beatrixschool and the Montessori kindergarten. 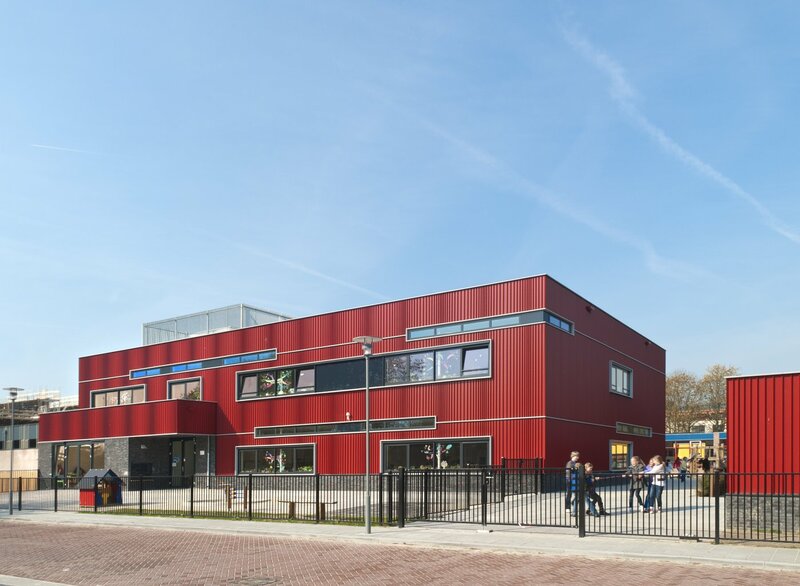 The MFA served as a replacement for the headquarters of the public Montessorischool De Plotter and as an extension of Protestant Christian school De Wegwijzer as well as providing for out-of-school care, a childcare centre and a neighbourhood support centre. 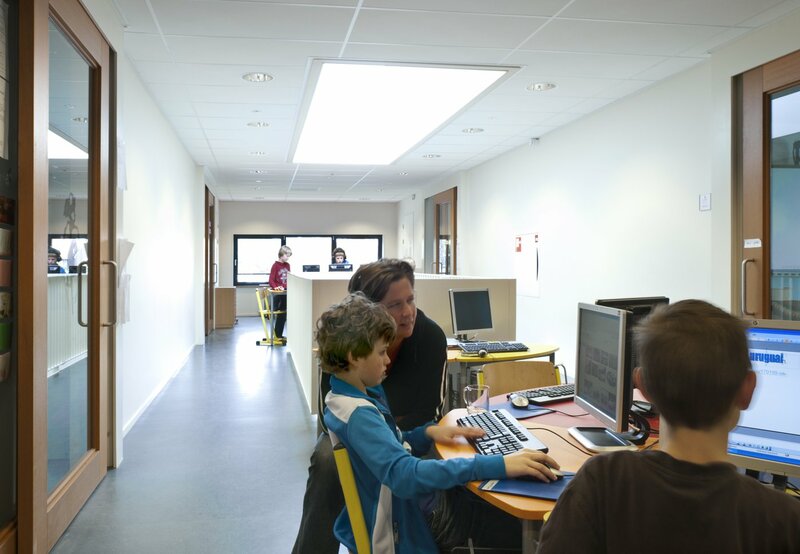 The rooms had to be multiply usable as much as possible, while the two schools would have their own premises to be able to carry out their specific educational vision. The multifunctional accommodation consists of two wings with a connecting piece. 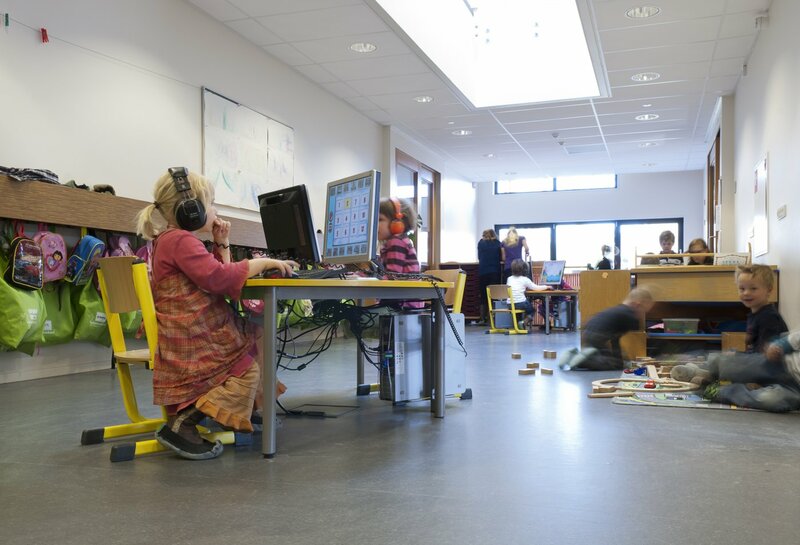 The Montessori education is given in the new short wing where work and play can be combined in wide corridors that serve as extensions of the classrooms with large sliding glass doors. 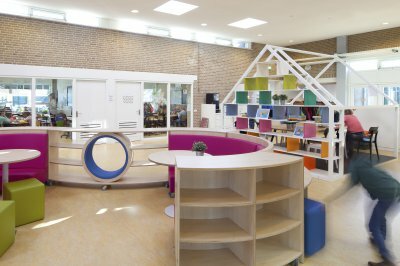 In the existing long wing of De Wegwijzer, the nine classrooms are mainly used for formal lessons. 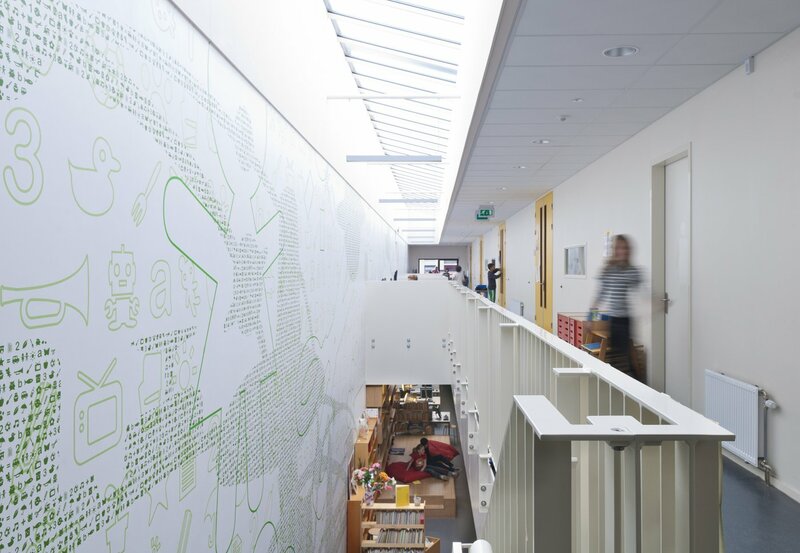 The two educational worlds meet in the new heart of the building where the shared and multifunctional facilities are located. 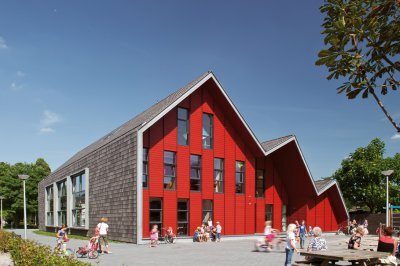 Here you will find the entrance, the large hall with podium and kitchen facilities, the out-of-school care section with its own living room and the play room that can be connected to the hall with a flexible wall. The childcare centre has its own entrance but is visually linked to the hall. 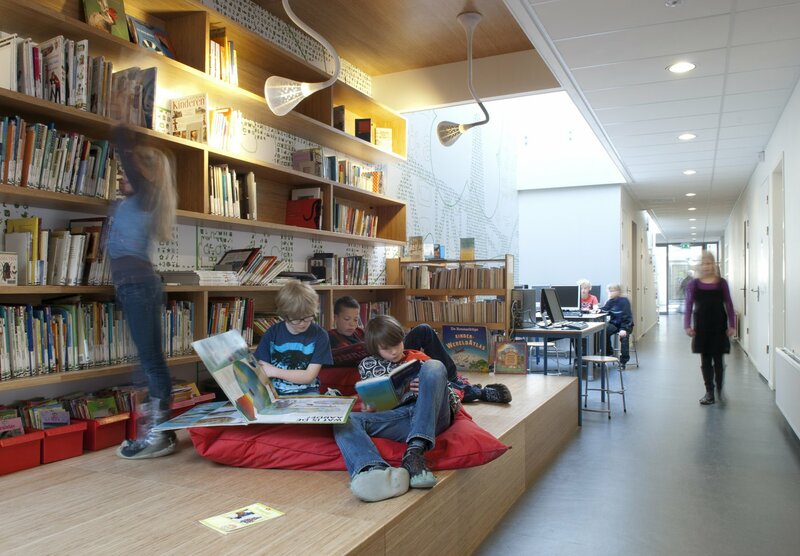 The two schools share the spaces such as the play and work areas in the corridor zones. This also applies to the handicraft corner, the media library, the growth / exchange room, the play room and rooms for supporting functions. In order to emphasise the multifunctionality, the interior has been designed as uniformly as possible, and despite the different users, the building exudes one atmosphere of tranquility, light and space. 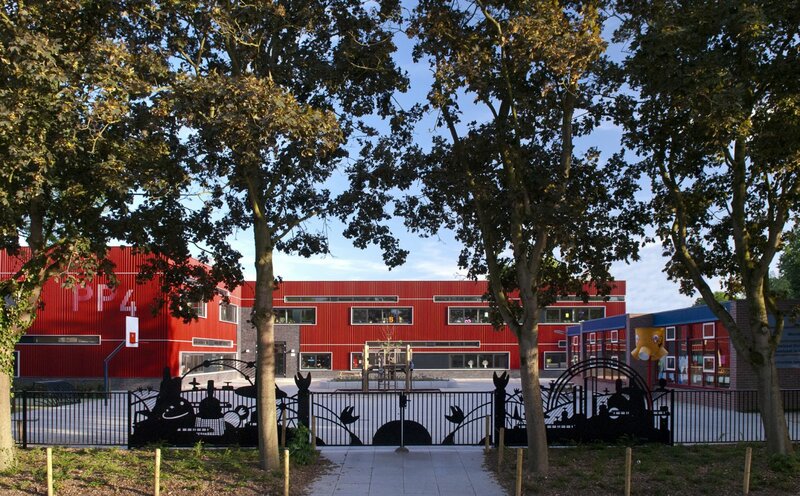 By placing the new building with its back against the existing sports hall, two socially safe playgrounds have been created, the largest of which is also available for the neighbourhood outside of school hours. 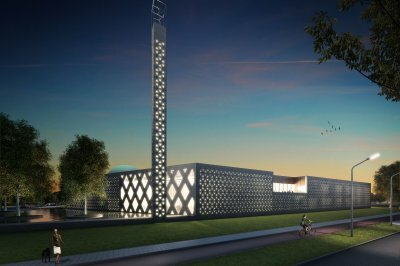 To the east of the new building, a Kiss & Ride zone has been constructed that provides a traffic-safe solution for dropping off and picking up children by car.